Clean Fuels supplies carbonisation equipment that is equipped with the Condensing Retort and the FFLIT technologies, described elsewhere on this website (Technologies). A use license for the involved Intellectual Property. We preferably carry out performance tests with raw material supplied by our clients. For example with your wood species of the desired sizing, coconut shell, hazelnut shell, palm oil shell, rice husk, etc. Occasionally we have charcoal for sale, a by-product of our R&D programme. Generally our charcoal has the quality of Japanese White Charcoal (see our leaflets: UK, NL), the quality of which is considerably higher than that of European BBQ charcoal (compare product norms in the Downloads Section). Please, inquire about availability and costs. Our bincho charcoal has been processed at temperatures above 1000 °C. It complies fully with the Japanese quality standards for this product. Uniquely, our bincho charcoal is made without harmful emissions to the environment! Bincho charcoal made of beech, an abundant hardwood species in Europe. 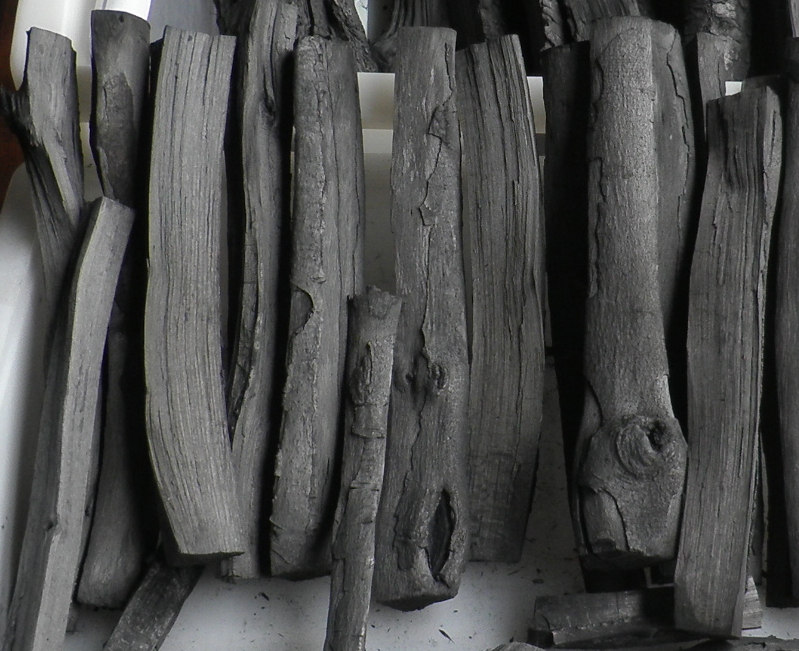 The high porosity as a result of the wood type used, supports the purifying nature of this bincho charcoal. 2 sizes: approximately 150; 200 mm length. Prices: € 12.50 / pair, plus shipment.